VigorSwitch G1280 has adopted a brand-new interface design which will make configuration and management much easier. The new dashboard shows the status of the system and each of LAN ports at a glance. Furthermore, the responsive web design allows Network Administrator to monitor the switch effortlessly via all kinds of devices. 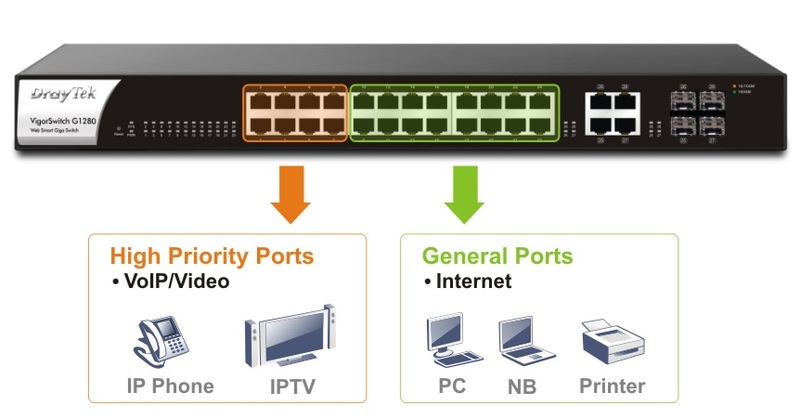 VigorSwitch G1280 is compliant with Central Management feature of Vigor Router. 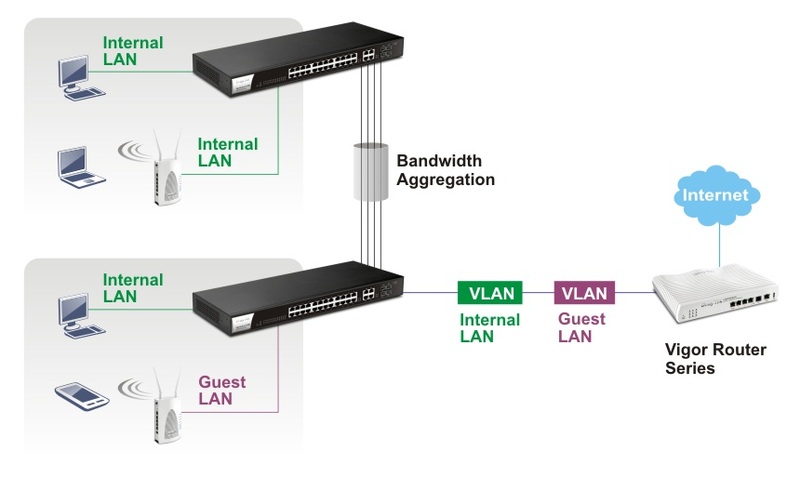 It can be managed through the Vigor Router’s management page, this allows Network Administrator to configure, monitor, and maintain all the switches on the network easily from one single portal.